Rachel Brooks: Congrats to client Linsey Miller! Congrats to client Linsey Miller! 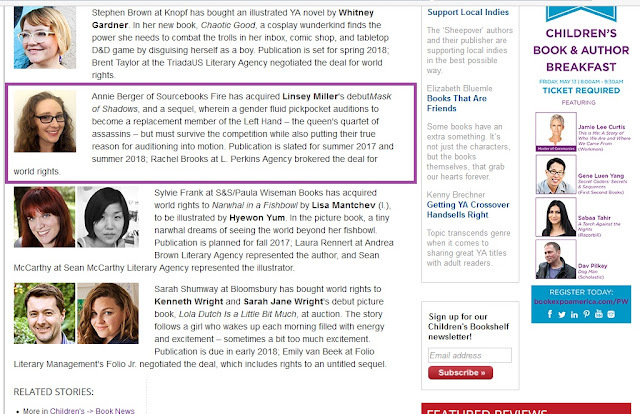 In case you missed it, yesterday Linsey Miller's exciting news hit Publishers Weekly. Her debut YA fantasy MASK OF SHADOWS will be published by Sourcebooks Fire in Summer 2017! A big congrats to Linsey and all the other authors, agents, and editors mentioned. Fantastic list! 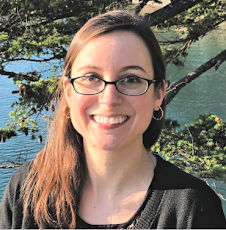 "Annie Berger of Sourcebooks Fire has acquired Linsey Miller's debut Mask of Shadows, and a sequel, wherein a gender fluid pickpocket auditions to become a replacement member of the Left Hand – the queen's quartet of assassins – but must survive the competition while also putting their true reason for auditioning into motion. Publication is slated for summer 2017 and summer 2018; Rachel Brooks at L. Perkins Agency brokered the deal for world rights."